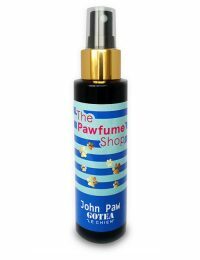 We now have fourteen fragrances in our range, male, female and unisex, most of which you will recognise as the familiar designer perfumes we humans wear ourselves. 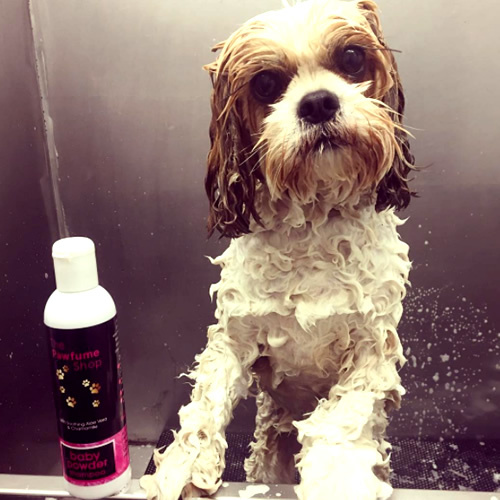 As an experienced Veterinary Nurse and Dog Groomer, I take care to ensure our products are formulated to the highest standards, and that they are safe for our four legged friends. 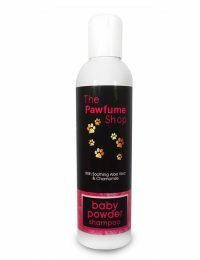 All my products are manufactured wholly in the UK and are are long lasting and quick drying, leaving no residue. 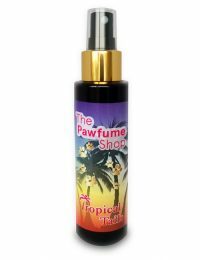 Pawfumes contain aloe vera and chamomile and can be alternated with baths to avoid dry skin. I always knew I wanted to work with animals and became a Veterinary Nurse straight after college. 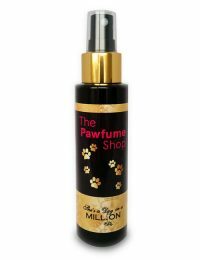 After some years working in a big practice, I decided to realise my ambition to work for myself and trained as a dog groomer, opening my salon “Groomers” in 2005. 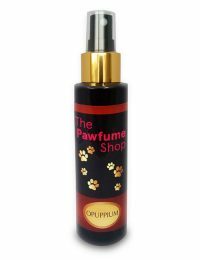 Finishing fragrances are the final touch to a professional groom, and after some years, I realised the limited range available and after much research, tested out some designer perfumes on my salon customers, who loved them- The Pawfume Shop was born officially in 2015. 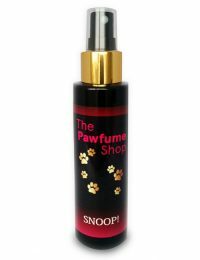 I adore being a dog groomer and love meeting my Pawfume Shop customers to hear views and feedback and get ideas for new fragrances. 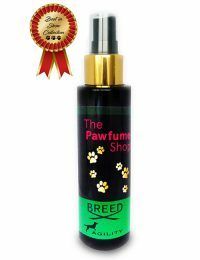 You will find us at Crufts, PATS, Dogfest, Bark in the Park, and many other events across the UK. 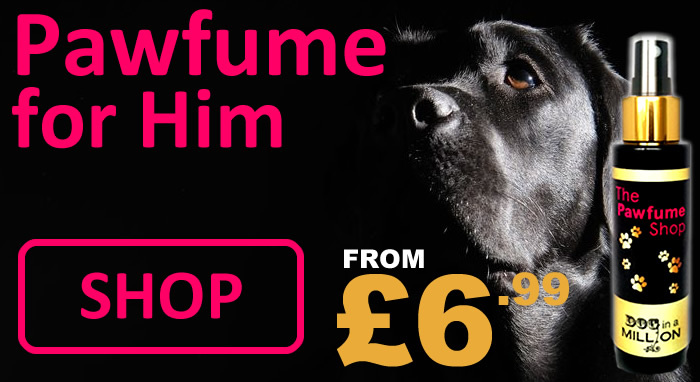 Come and meet me and my beloved German Shorthaired Pointer, Storm, who wears her Pawfume every day. 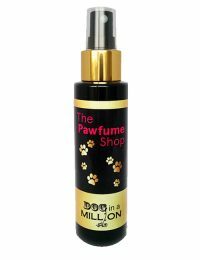 We sell online to owners, groomers, pet shops and pet boutiques across the U.K., Ireland, Europe and The Netherlands, and will be expanding soon to the USA and South America. 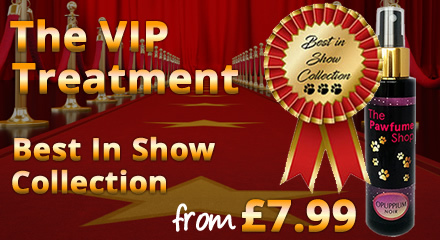 © Copyright | Terms & Conditions | Privacy & Cookie Centre | E-Commerce by Barton.UK | ..